Many men find it difficult to discuss their fertility, even more so if they have been told they have a very low sperm count or a zero sperm count and they believe there is no possibility of biological fatherhood. However, a new procedure available at Bourn Hall Clinic called Micro-TESE (micro-surgical testicular sperm extraction) offers hope to men who have no sperm in their ejaculate. 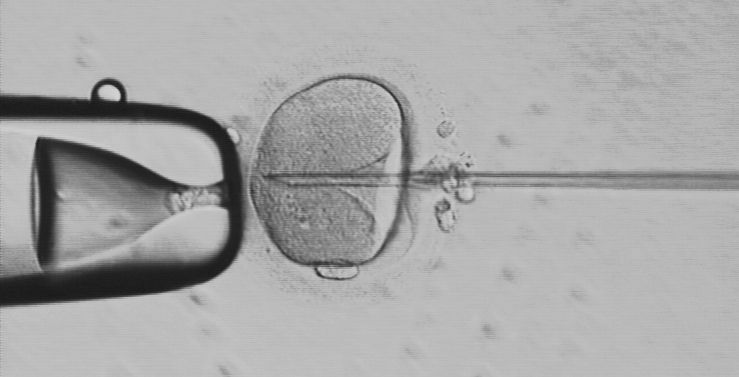 The technique is likely to be particularly beneficial for men whose low sperm count is the result of prior chemotherapy or for those with small testes. Traditionally, testicular sperm extraction (TESE) involves the removal of small pieces of testicular tissue under general anaesthetic; the tissue is then inspected for the presence of sperm. The use of a special microscope in Micro-TESE means that the amount of tissue required for sperm extraction is now much smaller. This is because the consultant urologist is able to identify tiny tubules which look most likely to contain sperm and remove these preferentially. For men who have a low sperm count due to small testes or low testosterone levels, removing large pieces of testicular tissue can potentially be detrimental to their health. Micro-TESE therefore offers a significant benefit over the more widely used TESE. Bourn Hall provides several treatment options for male factor infertility, including Micro-TESE – find out more here. To see more about male infertility, including some of our patient’s stories, click here.